Chemistry major Kaysi Lee works in a nuclear magnetic resonance spectroscopy preparation lab in Schrenk Hall. Photo by Kandi Woessner. Kaysi Lee, an undergraduate student from St. Louis, came to Missouri S&T last fall with a passion for science that had been nurtured through the years by her female high school science teachers and by her parents. Lee excelled academically in her coursework, but initially had concerns she might not belong. 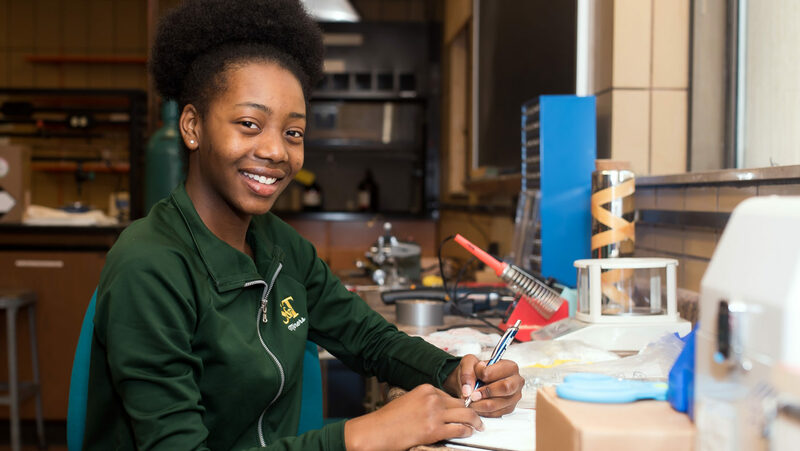 She had chosen S&T because of its strong STEM reputation, but she often found herself the only African American and sometimes the only female student in her STEM classes. But later that semester, Lee’s academic experience solidified when she applied and was accepted into an experiential learning opportunity sponsored by S&T’s College of Arts, Sciences, and Business (CASB) – the First Year Research Experience (FYRE) program. In the FYRE program, first-year and transfer students enrolled in a CASB academic major work one-on-one with a faculty mentor on a specific research project. The program immerses students in a hands-on research experience and helps them improve their critical thinking, communication and leadership skills. At the time Lee joined, 18 different research projects were available. And this year— for the second year in a row—the FYRE program has doubled in size. As a freshman in chemistry, Lee began her FYRE work in spring 2018 as an apprentice researcher to Dr. Klaus Woelk, associate professor of chemistry, working in the lab alongside chemistry graduate student Ming Huang. For her FYRE project, Lee, Woelk and Huang tested nuclear magnetic resonance (NMR) spectroscopy for pH measurement as a replacement for measuring with traditional pH electrodes. The goal of their continuing research is to be able to determine the pH of an aqueous sample based on the NMR spectra and chemical shifts they observe without taking the sample out of the machine. If this can be done, the process would broaden the uses of NMR, and it ultimately could be used in a medical setting to test the pH of a patient’s blood or in various quality control settings for pharmaceuticals. “Those experiences helped me find my voice and build confidence,” Lee adds. Lee’s participation in the FYRE program allowed her to progress into the Opportunities for Undergraduate Research Experiences (OURE) program, a more advanced experiential learning program that S&T offers every year. For her OURE project, Lee is expanding her work with pH and NMR and plans to submit her results with Huang for publication in the peer-reviewed journal, Magnetic Resonance in Chemistry. 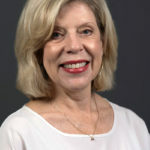 Lee is grateful for her FYRE learning experience.